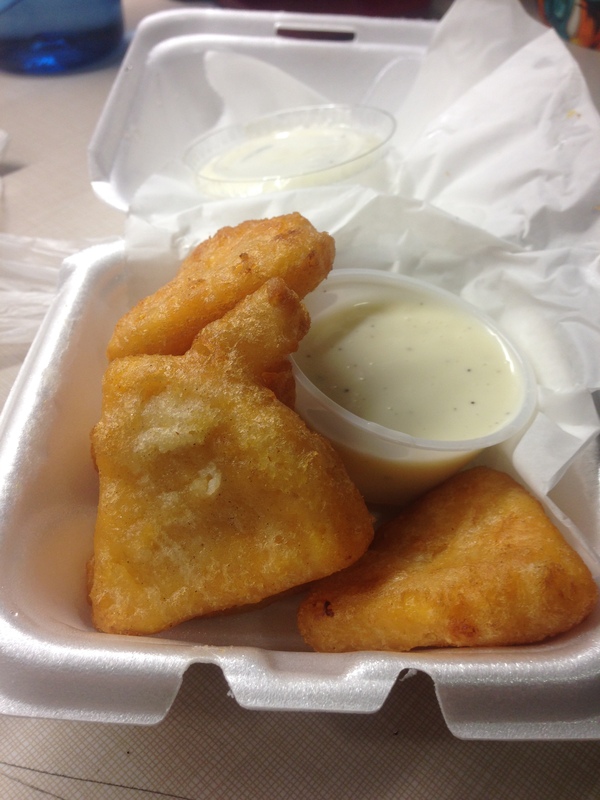 Pictured above is the beautiful golden fried wedge of mac n’ cheese that we all know and love. However, after an 11 PM phone call to the Cove last night, Friday, November 13, I discovered that mac n’ cheese wedges are now–Mac n’ cheese BITES. We’ve all told our friends, bosses and parents one specific little white lies: That we’ll “be there in a minute,” when in reality we are a good five to ten minutes away. It’s understandable.We hate to disappoint our employers and loved ones. But, as I found out recently, whether or not you tell the truth can be the difference between a good or bad night for your friendly neighborhood Cove delivery guy. 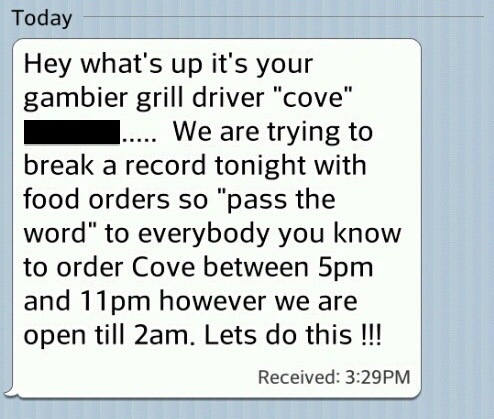 Is this a Gambier Grilled/Cove sponsored event? Just this particular driver? Does it count individual orders? Can I pre-order my Mac n Cheese wedges now? Have you ever gone to the Cove or the VI and seen the person behind the bar and thought, “Man, they look familiar!” Well, today’s your lucky day. We tracked down two of Gambier’s finest student bartenders from two of Gambier’s finest (and only) bars and brought them head to head for your enjoyment!